The United States Agency for International Development (USAID) is looking to fill a Development Outreach and Communications (DOC) Officer position. The DOC Officer assists in the development and implementation of a revised, comprehensive communications and outreach strategy which is in line with the overall USAID Ethiopia Country Development Cooperation Strategy and promotes USAID's activities to external and internal audiences. She/He also assists in regular updates to the Mission communications strategy, identifying objectives, messages, audiences, products, and budgets, and developing plans in coordination with USAID managers and technical teams consistent with the Mission development strategy and the overall Embassy communications goals. The DOC Officer works with the Senior DOC Officer to ensure that outreach activities are cost-effective, well-targeted, noncontroversial, visually appealing, well-defined, and contain human interest elements. The Population Reference Bureau (PRB) is looking to fill a Policy Analyst position. The Policy Analyst will manage activities on projects in PRB's International Programs department, with a focus on making the case for family planning as a critical investment for sectors outside of health, such as environmental conservation, climate change, and food security and nutrition. The Policy Analyst will also analyze family planning investment priorities and policies critical to helping countries transition from low to high rates of modern contraceptive use. She/He will lead the development of evidence-based advocacy and communications materials with local and international partners, conduct qualitative and quantitative analysis, and provide technical assistance across the organization on a variety of projects related to family planning/reproductive health, population dynamics, and the environment. Chemonics seeks a Country Director for the USAID Global Health Supply Chain - Procurement and Supply Management project in Mali. She/He will provide overall strategic direction, leadership, program management, and supervision. The Country Director will develop and implement annual work plans and budgets that reflect USAID, Mali Ministry of Health, and other stakeholder priorities. She/He will also oversee finances and cash flow and ensure adequate availability of project funds to complete required project work, working with the project management team and the director of finance and operations. Chemonics seeks a Senior Procurement Advisor for the Medical Procurement and Production Division (MPPD) of the Rwanda Biomedical Center as part of the ongoing USAID Global Health Supply Chain Program - Procurement and Supply Management. She/He will provide MPPD with a biweekly report on expected shipments to facilitate the organization of storage space and the procurement of health commodities. The Senior Procurement Advisor will also maintain auditable records, including approved supply plans and supporting documentation, of all managed procured items. Chemonics seeks a Track and Trace Manager to join the ongoing Global Health Supply Chain - Procurement and Supply Management (GHSC-PSM) project in Botswana. She/He will work within the Central Medical Stores (CMS), currently operated by the third-party vendor Botswana Courier and Logistics, to coordinate the picking, packing, and distribution of appropriate quantities of medicine, especially Dolutegravir and other antiretroviral drugs. The Trace and Track Manager will also supervise the PSM site monitors and coordinate with Peace Corps volunteers and community-level institutional partners through site visits to ensure that reports and requests for re-supply forms are complete, correct, and submitted punctually to the Logistics Management Unit. Abt Associates seeks a qualified Chief of Party (COP) to support the upcoming five-year, $12-$15 million USAID-funded, Nguriza Nshore activity with the International Economic Growth in Rwanda. The COP is responsible for overseeing the implementation of project activities, management of project staff, and coordination with partner organizations. She/He will establish and maintain systems for project operations; coordinate and maintain working relationships with project stakeholders (including USAID, ministries, high-level government officials, and private sector partners); manage local implementation teams, and collaborate with local partners to improve capacity. 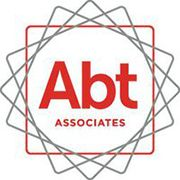 Abt Associates seeks a qualified Administrative Assistant to support the International Health Division and the President's Malaria Initiative Africa Indoor Residual Spraying project in Mali. She/He will provide office administrative support including organization and facilitation for internal meetings, drafting agendas, and taking minutes. The Administrative Assistant will also maintain hard copy and electronic versions of a project archive, including contract and subcontract documents, client approvals, consultant documents, travel files, procurement files, project deliverables, project reports, and minutes of meetings. SAS is currently accepting papers and posters for its 2018 Discovery Summit Europe. We are looking for presenters who can share how they have solved important problems with JMP. Each year our paper and poster presenters are a source of inspiration for the Discovery Summit Europe - posing and challenging analytic theories, benchmarking best practices and conceiving innovative concepts. Presenters will shape the conference conversation about how to apply analytics in forward-looking companies around the globe.